From time to time your carpet needs comprehensive cleaning. 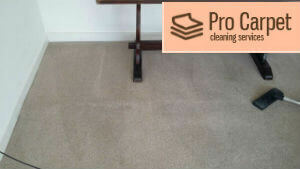 It is recommended that you use a professional carpet cleaning provider to get the job done for you. 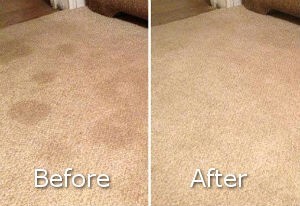 If you want to restore the shine to your carpet and secure the health of your family, contact us! With an extensive experience in the field, we know everything about carpet care. As we have cleaned so many carpets over time, we can guarantee you we have what it takes to deliver you impressive results. We offer our renown carpet cleaning services to the residents of Vauxhall. You can also find us in Stockwell, Clapham and Battersea. Make sure to contact our representatives as soon as you can during the week and we promise you a memorable service experience. We’ll be glad to share with you our mission and offer you a customized package of services that would satisfy each one of your carpet needs. As you’ll see, we have a number of cleaning options to give a solution to all your carpet problems. Our cleaners are skilled and knowledgeable. They are vetted in cleaning different carpet fiber types so they know how to approach every dirty situation. Using the latest potent cleaning solutions and specialized equipment, our professionals will give you one perfectly sanitized and well-groomed carpet, ready for an exhibition. We are at your disposal for pick up and delivery service from Monday to Sunday. If you need help with moving the furniture, do let us know. It would be no problem for our cleaning crew to provide you assistance. They can come quickly as soon as you call and return to you with a completely dry carpet that looks as good as new in no time. 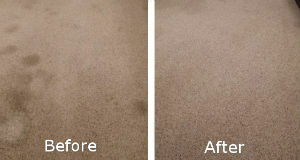 When you book our carpet cleaning service in Vauxhall, you will be given a very reasonable price. We take pride in our rates that aim for more and more people to have access to professional carpet cleaning services. Take advantage of our packages today or any other day during the week. We are ready to do whatever we can to assist your needs. We involve a few successful steps to making your carpet cleaner, brighter and shinier. First of all, we inspect every single inch of the fabric and pre-treat problem areas and stains. We vacuum the whole carpet and follow up with steam cleaning. It helps to get rid of debris, dust, stains and germs. It also flushes the cleaning product away so there are no residues to cause further problems like possible skin conditions and respiratory problems. All our detergents are approved by a Health Commission to guarantee you that our cleaning methods are safe for your health. They have been tried, tested and proven to give extraordinary good results for every carpet type without causing any damage to the fiber. We know how to clean your carpet in a delicate way in order to deliver impeccable service. After we make sure it’s completely dry, we’ll groom your carpet to look even better and spray it a layer of protective product to prolong its life. We think about it all! Choose us and you won’t attempt to clean your carpet by yourself ever again!